Dakota Stealth Watch Black Leather Strap | BUDK.com - Knives & Swords At The Lowest Prices! 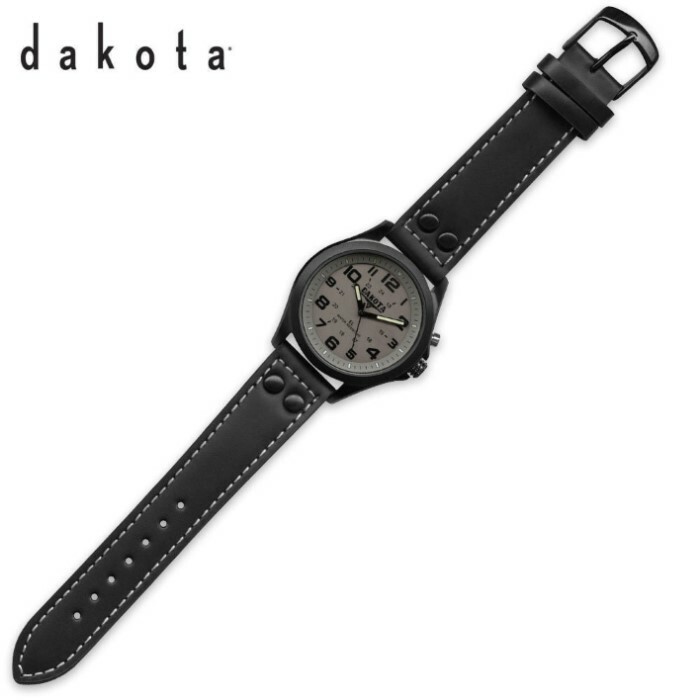 Stealthy is the perfect way to describe this quality timepiece from Dakota. The Stealth watch features an IPB black Ion stainless steel case and a stylish black leather strap. It offers a moonglow electro-luminescent dial light, luminescent hour markers and luminova hands. Best of all, it's water resistant to 165 feet.